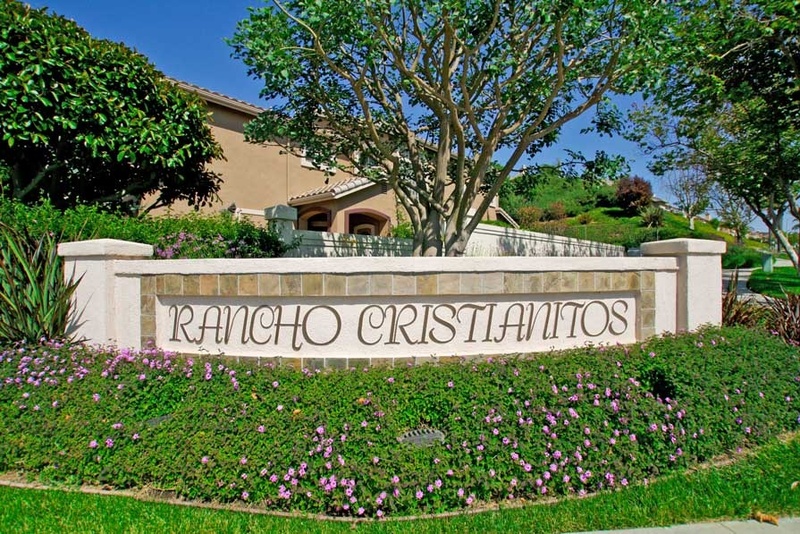 Rancho Cristianitos is located in the Rancho San Clemente area of San Clemente, California. Rancho Cristianitos is a small neighborhood that was originally developed in 1996 to 1997 and features three to five bedroom homes that range in size from 1,946 to 2,740 square feet of living space. The large majority of homes located here are two levels with a wide variety of floor plans that incorporate living quarters on the first level and all bedrooms located upstairs. There are a total of two homeowners association dues that are paid, one on a monthly and another one on a quarterly basis. Due to the limited number of homes in this area only a handful of properties will come on the market each year. Below are the current homes for sale and for lease in Rancho Cristianitos. Please contact us at 888-990-7111 with questions regarding this community and any of the homes listed for sale here.